The year 2017 was the most hurricane active year in the past decade for the US. After the destruction caused by Hurricane Katrina in 2005 in New Orleans, It was the three hurricanes Harvey, Irma and Maria that had severe landfalls in the US. Weather systems and steering currents that align together to steer hurricanes from US shores not being in place. Very warm waters over in the bay of Campeche and the Western Gulf of Mexico helped Hurricane Harvey develop from a storm to a Category 5 hurricane. It made landfall on Aug 25, 2017 near Rockport and Fulton, Texas as a category 4 storm. The peak wind speed recorded was 132 mph. These cities took the direct hit from the eye wall of the hurricane. Roofs were blown off and walls collapsed of several structures, residences and businesses. Infrastructure severely damaged. Electricity was unavailable for several days. The hardest hit areas lost power for several weeks. The storm surge levels ranged from 3-6 feet in many places in South Texas. The highest was recorded at the Aransas Wildlife refuge at 12 feet above ground level and 10 feet at Port Lavaca. Harvey lingered in the over South and South-east Texas for days causing deadly flash flooding. There was at least 40 inches of rain in 48 hours in south east Texas. Severe flooding in the Guadalupe River, Garcitas and Coleto creeks and moderate flooding on the Mission river occurred. Harvey’s final landfall was made near Cameron Louisiana on Aug 30th with more heavy rain and flooding. The last hurricane to hit south Texas was Celia in Aug 1970.The effects of Harvey were devastating and is likely to remain in the memories of those affected for a very long while. Hurricane Irma was a Category 5 storm when it hit the Caribbean on Sept 6th. Damage to Anguilla, Barbuda, British Virgin Islands, St Martin, US Virgin Islands, Turks and Caicos, Cuba and the Bahamas was severe. It spent 72 hours over Cuba, maintaining strength and damaging houses and telecommunications. Irma affected the fishing, agriculture and tourism sectors in Cuba. The affected areas contained 80% of cattle and 11,000 hectares of food plantations. On September 10th Hurricane Irma moved across the Florida Keys as a category 4 storm before making landfall near Marco Island, Florida as a category 3. Irma moved north along the Florida peninsula and into Georgia and the Tennessee Valley, before Dissipating. 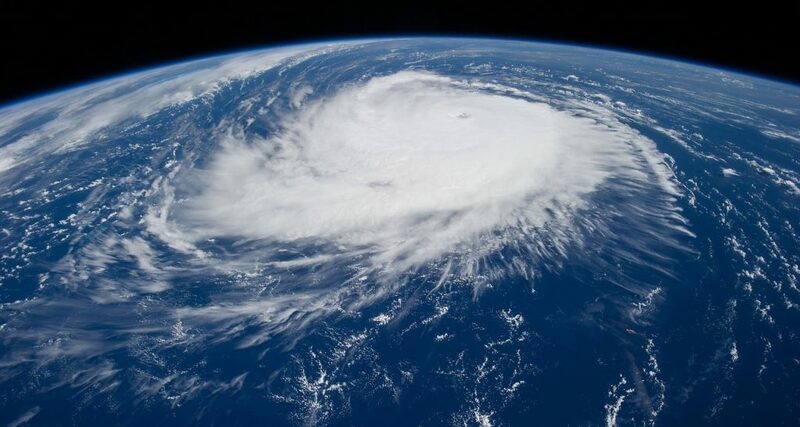 At the time of land fall, hurricane force winds extended up to 60 miles from the centre and tropical storm force winds extended up to 415 miles. Hurricane Maria made its landfall in Puerto Rico on Sept 18th 2017 and was a category 5. It had its most destructive effects in Dominica and Puerto Rico. It affected the United States Virgin Islands in the category 5 state. It weakened before it reached the mainland US. One of the most devastating hurricanes to hit the US, Katrina made land fall near the Miami- Dade-Broward county line on Aug 25 2005. It then moved southwest crossing southern Florida. In the Gulf of Mexico, Katrina again strengthened to Category 5 intensity on Aug 28th. Here winds reached up to 175 mph. As it made landfall again near the Louisiana- Mississippi Border, its winds were at 120 mph. It weakened as it moved northward and became a tropical depression over the Tennessee valley on Aug 30th. Hurricane conditions were seen in southern Florida, south-eastern Louisiana, southern Mississippi and south-western Alabama. Storm surge flooding of 25-28 feet above normal tide level was seen along the Mississippi coast, and 10-20 feet along the Louisiana coast. There was 10-14 inches of rain over southern Florida and 8-12 inches of rain along its inland track. Approximately 1200 deaths were reported. There was total destruction of several structures with surge damage extending several miles inland. The surge breeched levees in New Orleans metropolitan area, flooding much of the city and its suburbs. Catastrophic damage was estimated at $75 billion in the New Orleans area and along the Mississippi coast. According to the Hurricane Research division other hurricanes that have hit the US recently have been of lesser intensity. As per scientists, the number of hurricanes and their intensities are likely to increase in the coming years. This is considered to be an after effect of global warming. Accurate weather forecasting helps people to be prepared to an extent before a hurricane strikes. Here, we depend on metrological stations satellites and associated research. Hurricanes cause a lot of damage in the physical structures such as roofs and walls, damage of infrastructure such as water supply, electricity, roads and vehicles. Supply of Food, clean water and shelter is of primary importance. Often the defense services are called in to conduct the emergency evacuation and rescue operations and aid areas that need restoration. Restoration of transport, communication and power is important for people to resume their normal lives. Children, elderly, sick and the poorer sections of society are at risk. Hospital operations, Educational facilities, child security and law and order operations are also important sectors that need to be restored at the earliest. Hurricanes also results in missing people on land and sea and deaths due to drowning, electric shocks, isolation, and physical trauma. Hurricanes bring devastation and misery and it takes time to recover from it. The bravery and dedication of our armed forces and emergency services are seen at the forefront after every natural disaster. Government apathy and corruption is seen sometimes, but the diehard spirit of individuals and communities in spite of this, must be lauded. Natural Disasters wreak havoc, but they also bring out the good in human beings.